I'll be enjoying a weekend of Fishing Resort on the Nintendo side of things and will also play some Xenogears and Breath of Fire IV on my old PS1! I'll also finish my 99 Moves (Wii U eshop) review so we can have some new content this weekend. And so, my second playthrough of A Link Between Worlds continues...the real question is which dungeon to tackle next! I'm also open to the possibility of an online Mario Kart 8 session, hint hint nudge nudge. I will play Go Vacation with my husband this weekend. It's a lovely game to play alongside your special sweetie during Valentines Day! 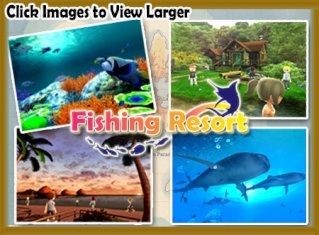 I'm going to be busy this weekend, but I will spend some time playing Fishing Resort. That's about all for this weekend. Hyrule Warriors and Kirby and The Rainbow Curse. Hyrule Warriors is so fun and Kirby and The Rainbow Curse is too! Within the last month I picked up MadWorld, Professor Layton and the Curious Village/Diabolical Box, Soulcalibar II, and Battalion Wars II, all for under $35! I think I'll take on Battalion Wars II this weekend as I've been curious about it but never got around to buying it. That's all for this week's volume! Starting next week we'll try to gather even more of our staff to participate in the weekly feature including @SKTTR! Feel free to tell us what you'll be playing this weekend in our comments below! Hyrule Warriors and Mario Kart 8 lol. I just buy Mario Kart 7 so that what I gonna play! I'm playing Metroid Prime Trilogy. I'm going to play .hack://Infection this weekend.